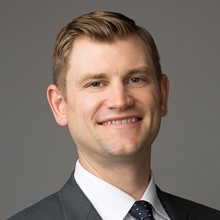 Conor S. Hunt focuses his practice on counseling clients on domestic and international patent prosecution involving mechanical and e-commerce technologies, as well as on patent evaluation, portfolio management, product clearance, and legal opinions. Mr. Hunt has worked with a wide range of products and industries, has successfully worked with a client through the entire patent process from provisional application filing to a successful litigation outcome. Prior to earning his J.D. from The University of Illinois College of Law, Mr. Hunt received a B.S. in general engineering from The University of Illinois. Prior to joining Marshall, Gerstein & Borun, Mr. Hunt worked as an intellectual property attorney for an intellectual property boutique in Chicago. During law school, he gained experience working as a judicial law clerk for the Sixteenth Judicial Circuit. “Practical Tips on Drafting Your First Patent Application,” Co-Presenter, Webinar, March 24, 2016. “Updates on Design Patent Law: The Hague Agreement and U.S. Design Patent Enforcement,” Co-Presenter, Webinar, September 30, 2015. “Provisionally Patented: The Strategic Use of Effective Provisional Applications,” Co-Presenter, Webinar, August 28, 2014. IP Alert: “Elements of a Design Patent Claim Can’t Be Challenged for Functionality in an IPR Proceeding,” Co-Author, September 26, 2014.